Semi-Oceanfront with Private Pool! 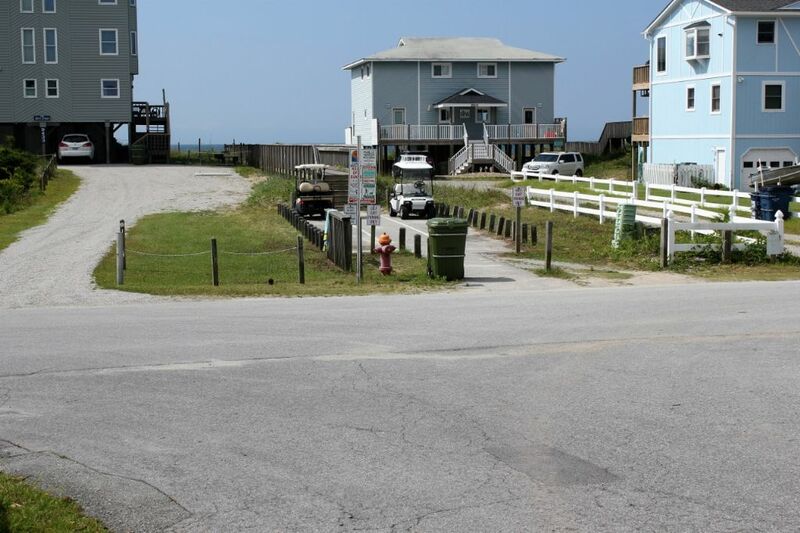 Only 1 lot from the Ocean with wonderful Ocean views! Cottage, 5 bedrooms, 3 baths. Upstairs: Q*Q*S,Q. Downstairs: B,Q*D,S. Also downstairs is a TV sitting area and full bath. 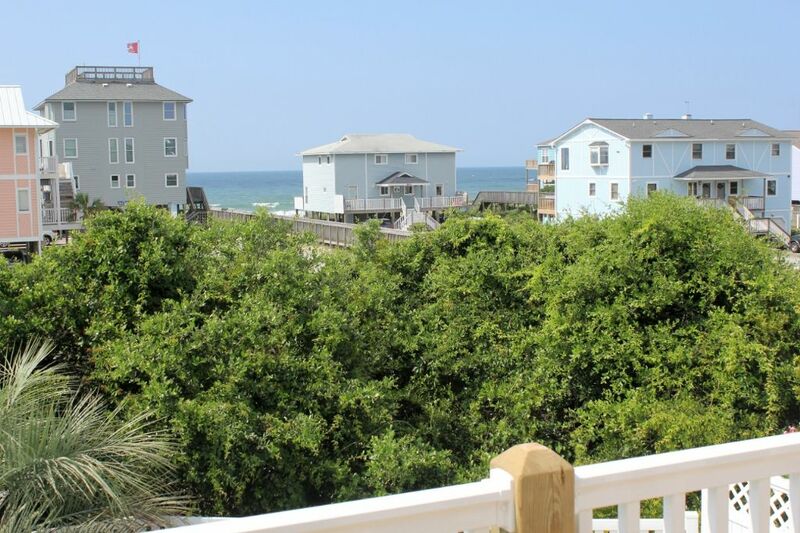 Central air and heat, microwave, washer/dryer, 4 CCTV(s), 3 VCR'S, DVD, WIFI, pack-n-play, hi-chair, private pool, wrap around deck with furniture, charcoal grill, h/c enclosed outdoor shower, direct ocean boardwalk, parking under house. No Smoking! No Pets. Linens provided with Weekly Rentals. Rents Saturday to Saturday. "We had. a great time at Mint Julep ! We have appreciated the good value (quality-price). We have made 1000 miles but it worth it ! Everything we need to cook (a new can opener would be great !!!) the house is not luxury but very comfortable. 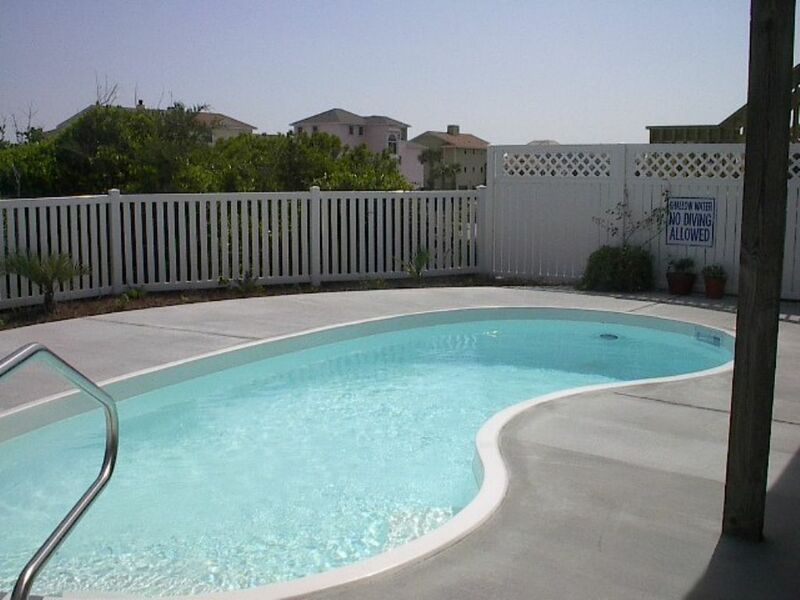 Beach access is just great and the pool was fabulous (maybe should be cleaned every week…) . We were very lucky with the temperature (warm and sunny). Hope Florence will not destroy this place, we would like to come back next year !!" Mint Julep is a beautiful cottage. We had a wonderful time. Many thanks to you and your family, Bonnie! We are thrilled to know that you enjoyed your experience renting through Shorewood. Mint Julep is certainly a cozy home away from home. We look forward to working with you again in the not-so-distant future! AMAZING HOUSE!! See you in 2018! 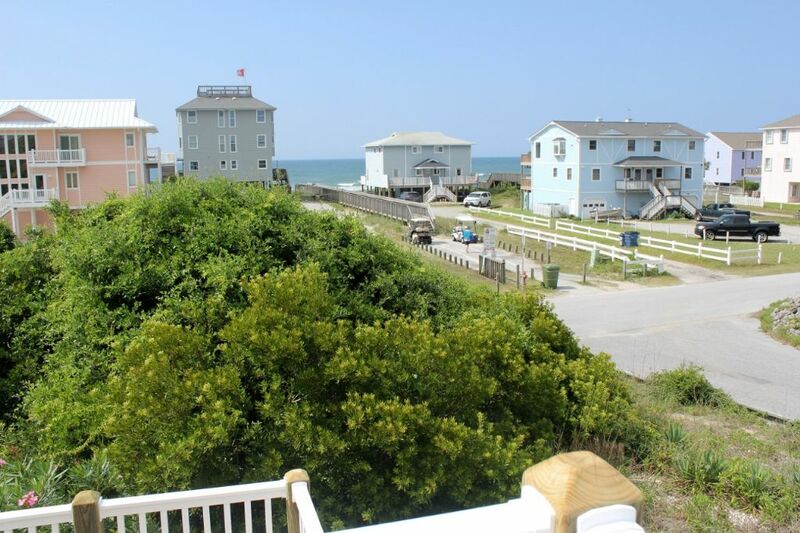 "We are from Ohio and have been coming to Emerald Isle since 1982. This cottage is now our absolute favorite!! It surpassed all of our hopes and expectations! The bedrooms were large, clean, with wonderful large closets! The beds very were comfortable ( LOVED THE MATTRESSES)!! We loved the open floor plan of the living area! The kitchen was well stocked with cooking utensils. We have young children so we ate at home every night. All of the appliances worked well. With children we needed a good washer and dryer......this house didn't let us down, awesome washer and dryer! But, of course our favorite part was the pool!! Our biggest problem all week was deciding whether to stay in the pool all day or take the short walk to the beach! The beach access was sooo easy! It was a much better access than many of our ocean front homes!! We cant wait to return next year!!!" Thank you, Nancy, for this thoughtful review! Mint Julep is a fantastic house and we are so happy your family enjoyed their time there. It sounds like it was a great vacation for everyone! Shorewood takes great pride in providing quality rentals with all the comforts of home for our guests. Thank you again for staying with Shorewood, and we hope to see you next year! "Perfect place for a family reunion. View of the ocean, super easy and short walk to a boardwalk to the beach, very comfortable. We even enjoyed the pool after saying "oh, we won't use that". Well supplied kitchen and nice center island to play games on. Loved the porch and the number of chairs. Could not ask for a better place. We hope to rent it again!" Thank you for your review, Lynn. We are pleased to know you had a great time at Mint Julep! We certainly understand the importance of having homes filled with everything families need to have fun together! We thank you again for staying with Shorewood & look forward to seeing you again next year! "This was either our 12th or 13th year staying at Mint Julep. We are never disappointed. We are close to the beach and stay at the beach most of the day. I love the pool, as the water and sand is difficult for me to manage. 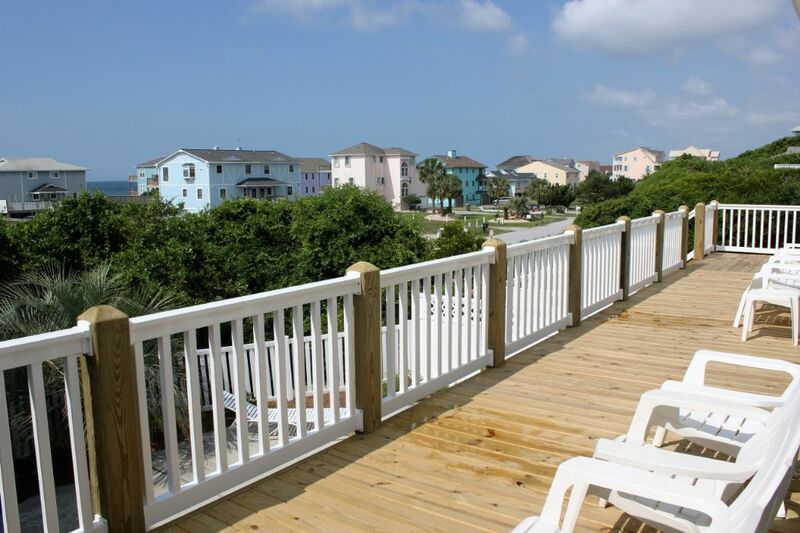 Emerald Isle offers other activities for the children and shopping for the adults. Mint Julep is always ready for our arrival and this year we noticed a huge upgrade. The deck has been replaced and looks great. We can't wait for the same time next year. We love our visits..... Sincerely, Muriel Walburn "
"Everything was Great! My cousins and I stayed for a week at this beach house. The place was clean. The rooms were convenient. Everyone had their own space, but still had a common room to relax and have fun together. The pool was fabulous and the pool was cleaned every two days. The beach access was right across the street. Could not of had a better time staying at this house. My only complaint was the front door was hard to lock and unlock. We barely locked it because we were afraid of getting locked out. I stayed in an upstairs room, but heard complaints that the downstairs beds were very uncomfortable, might be time to replace those. They still got the job done and everyone had a good time. Kudos to the staff!!! They were very helpful. We showed up 2 hours early in hopes that our place was cleaned so we could watch the Buckeyes. It wasn't, but the manager came out right when we were leaving and told us without a doubt it would be in time. They did not disappoint. Loved this house and the vacation. Thanks for a lovely week!" "overall i think that this property is a very good property. 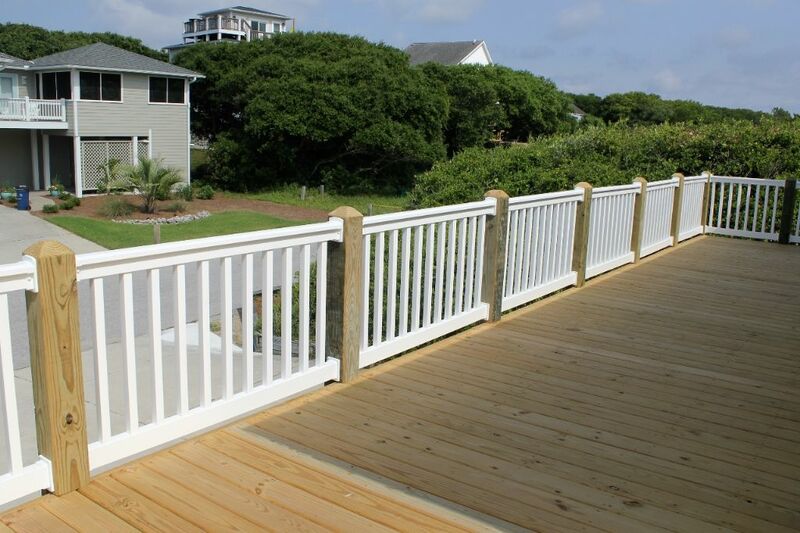 it is easily accesible because there are few steps to get to the main part of the house. 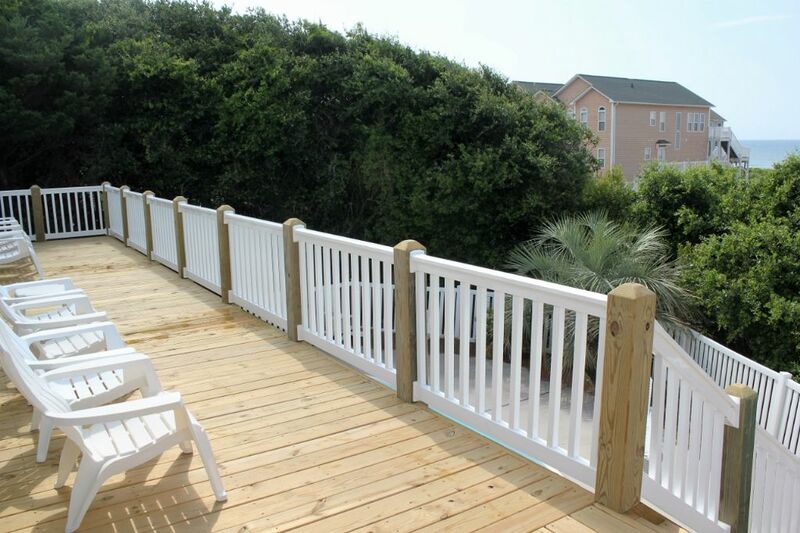 it is super close to the beach and the walkway to the beach is well maintained. the house is a good size and good set-up. the basement is a little damp and there is a dehumidifier that needs dumped/cleaned. the maid service did not do that. the bathroom in the lower level needs attention. because the lower level is ground level there is an ever so slightly bug infiltration-which is probably to be expected because of its location. the toads only come out and night and are not a problem during the day. the pool is clean. from my observations, the maid service does the really bare minimum to "clean" the house." "This was our 7th or 8th year at Mint Julep. My parents always took us to Wildwood NJ. Even as a child, I did not care for Wildwood. I love Mint Julep because the living is easy! It isn't commercialized. There are no "money making" piers with loud noise. My family loves Emerald Isle and we look forward to it all year. The youngest ones are the most fun, because they talk about it all year round." 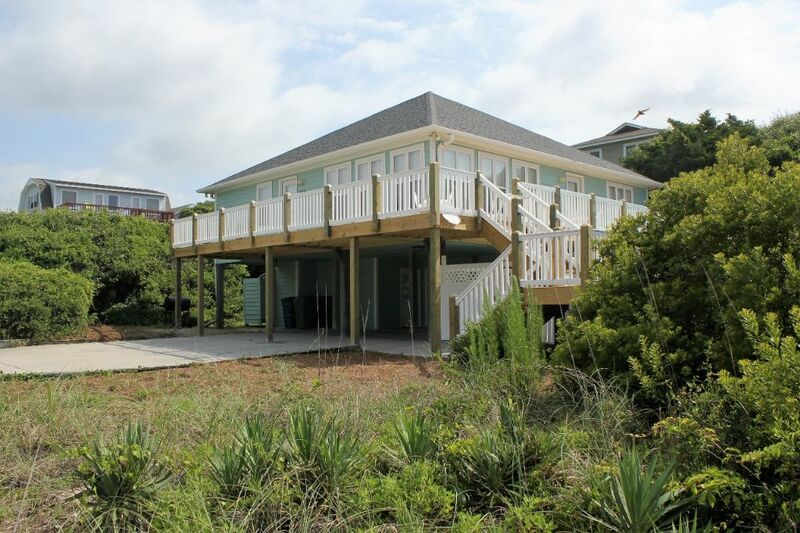 "We have typically vacationed on the Gulf Coast in the past, and decided to try a change of pace and chose Emerald Isle. (Turned out to be a good choice with the recent oil spill affecting the gulf coast) We were lucky enough to find Mint Julep on line in an extensive web search and were very happy with the close proximity to the beach, the private pool, and the family friendly amenities in this affordable vacation rental. In addition, we found Shorewood realty to be very responsive to our requests and we would recommend the location and both this rental unit and the rental company, as well." "It was probably one of my most favorite places to stay. My only issue is I can't take my dog. Bu other than that, I would stay there again. It was the perfect setup for me and my family. They're 20 +, love the pool. I have recommended it to others. Jane Lancaster"